The Eleventh International Conference for Literary Journalism Studies ‘Literary Journalism: Telling the Untold Stories’. Pontificia Universidade Catolica do Rio Grande so Sul. Porto Alegre, Brazil, 19-21 May 2016. 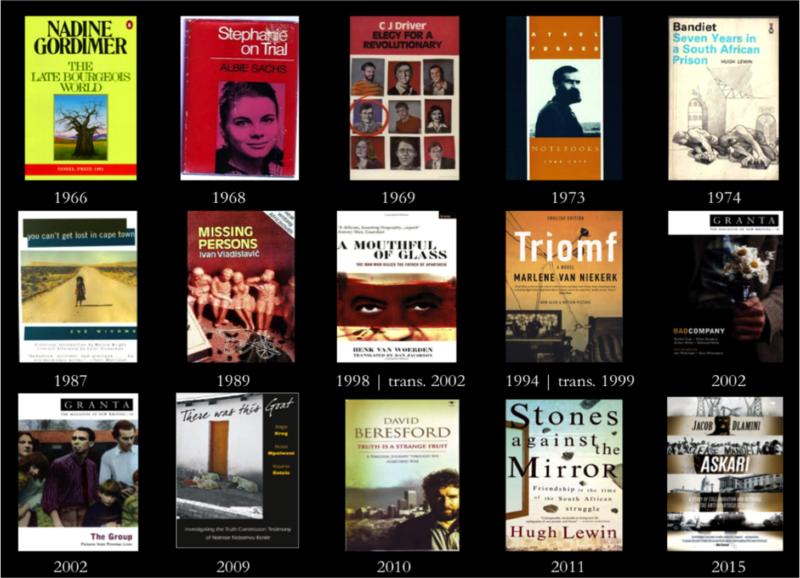 While the first decade of post-apartheid South African literary production saw a range of works which responded with journalistic and impressionistic immediacy to the proceedings of the Truth and Reconciliation Commission, the second decade of democracy has been marked by a wave of what might be called post-TRC texts: more distant and recessed forms of accounting for the ‘unfinished business’ of the transition. This piece explores a series of texts that grapple with questions of betrayal and collaboration in the varied and complex senses of those words. Hugh Lewin’s Stones Against the Mirror (2011) meditates on the collapse of the African Resistance Movement after one of its key members betrayed his closest friends in the mid-1960s. Jacob Dlamini’s Askari (2014) explores ‘The Strange Saga of Mr X1’, a man who defected from the ANC’s armed struggle to become one of the most notorious collaborators with apartheid’s deaths squads. The co-authored work There Was this Goat (2009) addresses itself to an ostensibly ‘strange’ or ill-fitting TRC testimony by Notrose Nobomvu Konile, the mother of a young man betrayed and killed by apartheid operatives as one of the Gugulethu Seven in 1986. Each of these texts is about an historical act of betrayal; but at the same time their ambitious and experimental ways of telling risk other forms of unstable, contentious or ‘disloyal’ disclosure in the public sphere. As such, I argue for an idea of the literary as a work of betrayal in multiple senses: one which allows us to glimpse what the act of assembling and responding to cultural texts might involuntarily reveal about the post-apartheid settlement in a larger sense: its conditions of rhetorical possibility, its cultural strictures and the contours of increasingly fragile expressive spaces. The TRC’s purpose was not to dispense justice but rather, as its grandiose name suggests, to extract from its witnesses a collective historical truth with which to reconcile a divided country. But what if the truth is not comforting? What if the truth is useless? What if too much of that truth is irretrievably lost to the past, because the only people who knew it were killed by it? Philip Gourevitch, New Yorker, 30 April 2012.